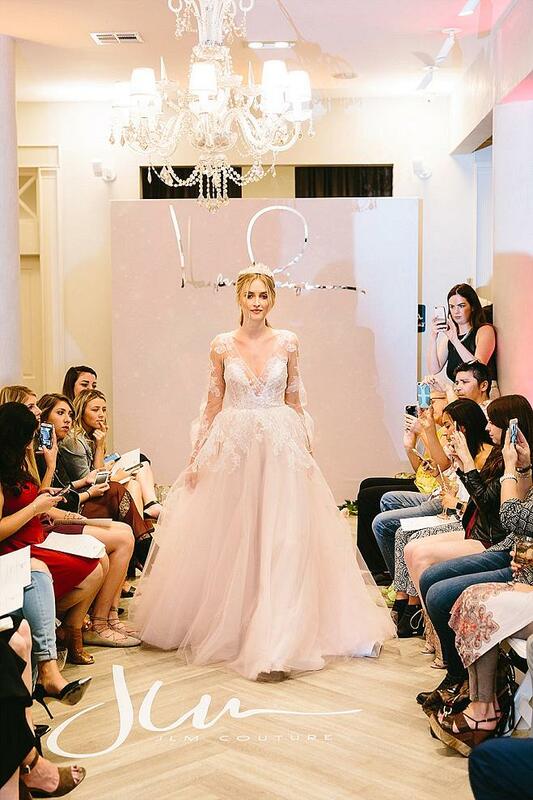 Sparkles, gauzy tulle and intricate backs are designer Hayley Paige's calling cards--and oh, did she bring it this season with her celestial-inspired collection for 2017. 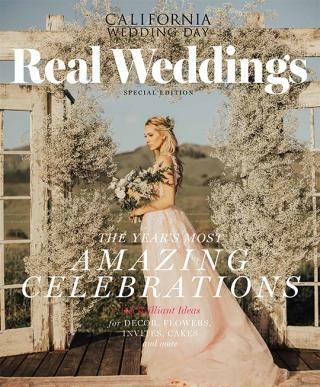 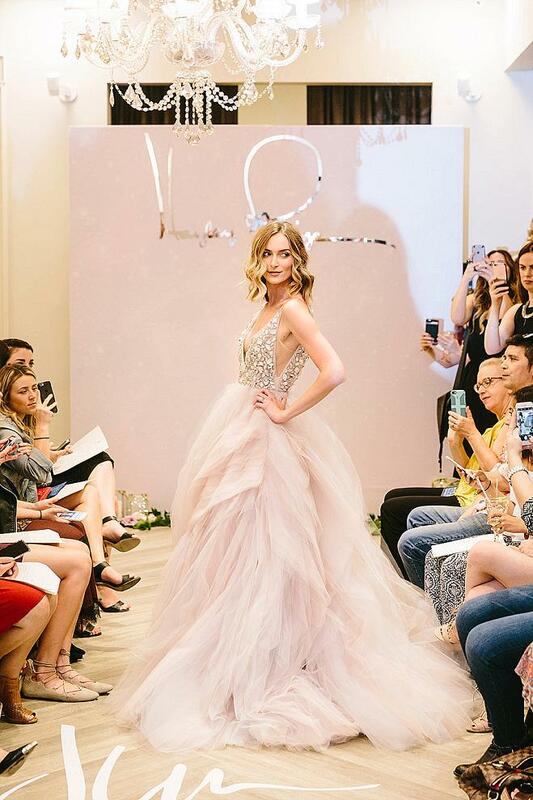 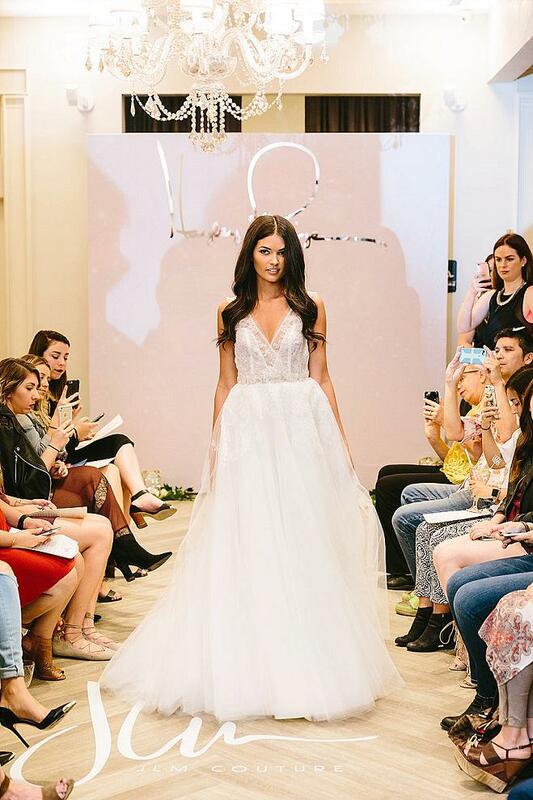 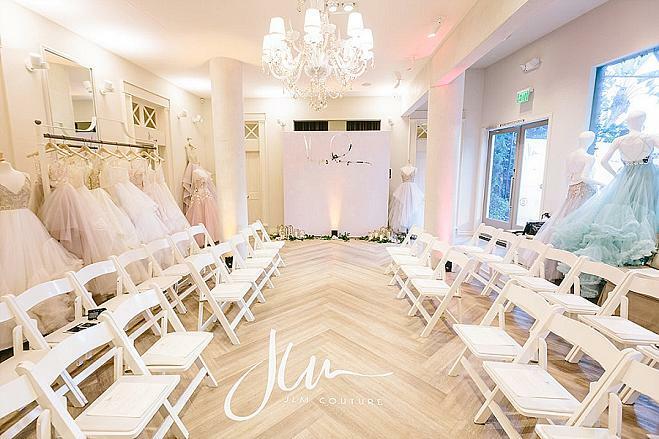 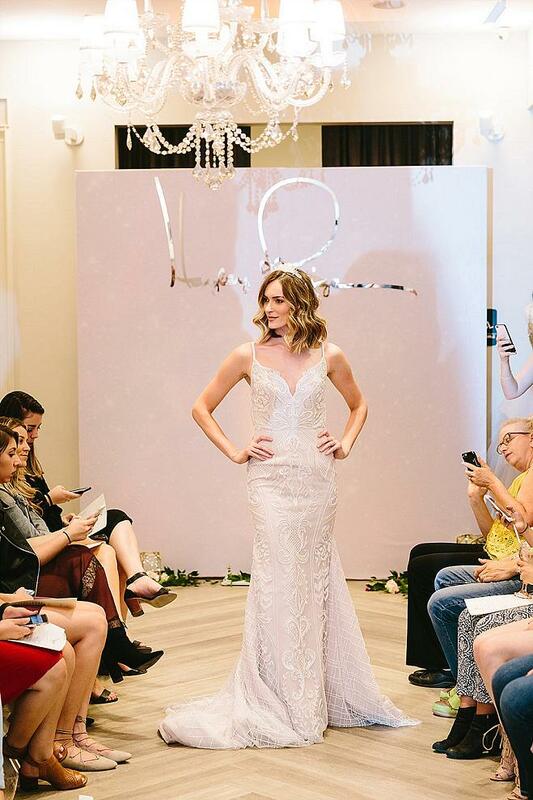 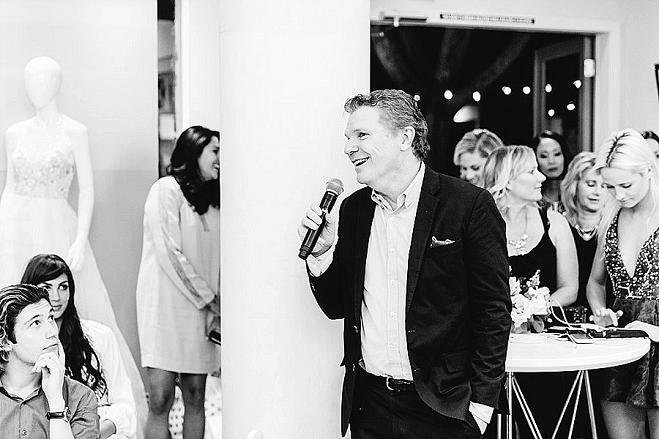 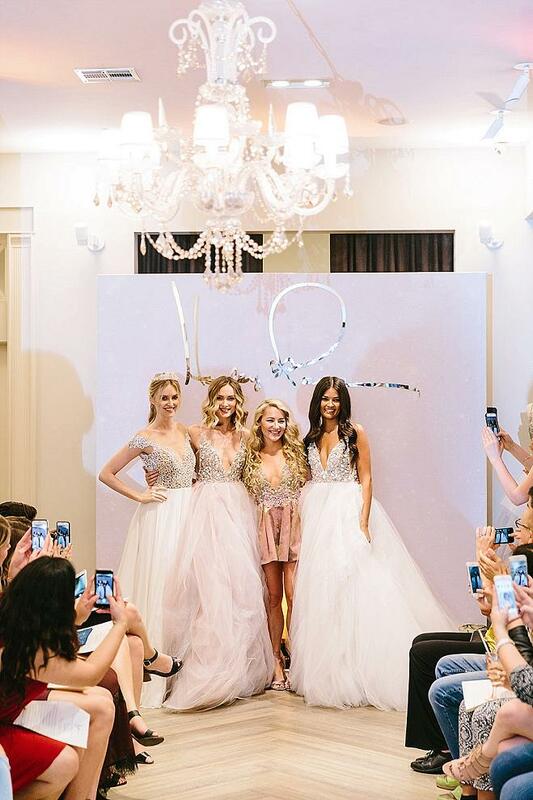 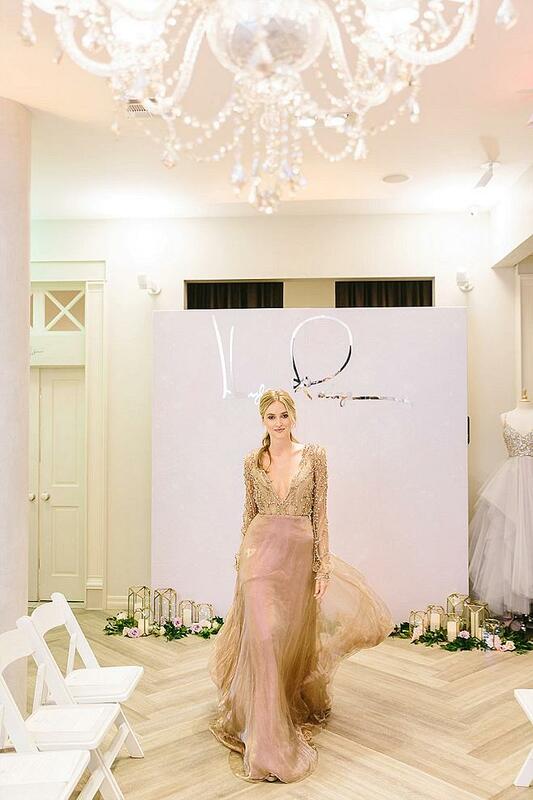 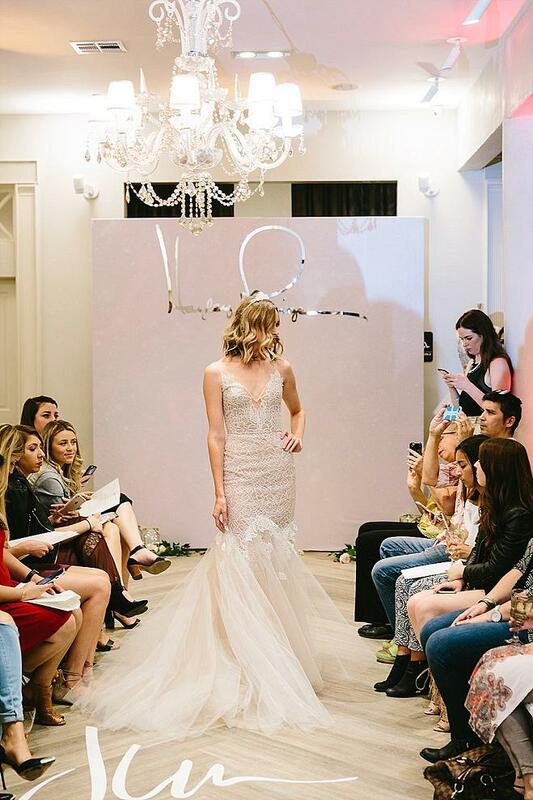 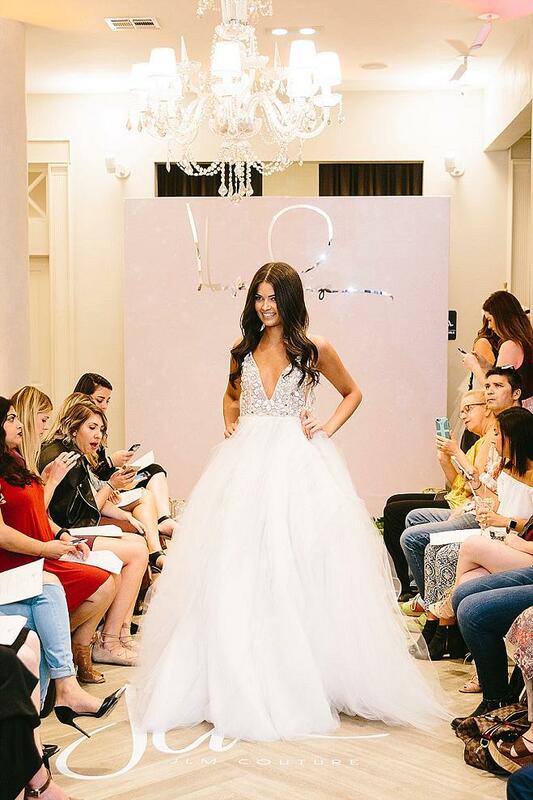 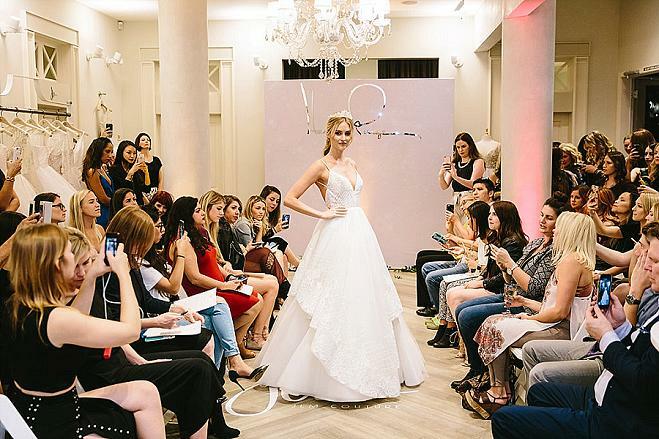 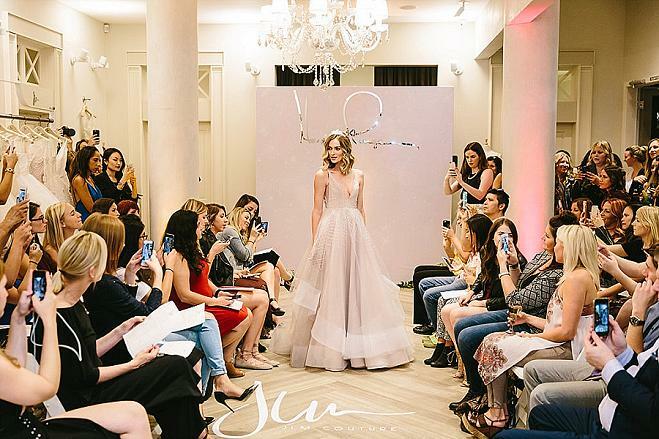 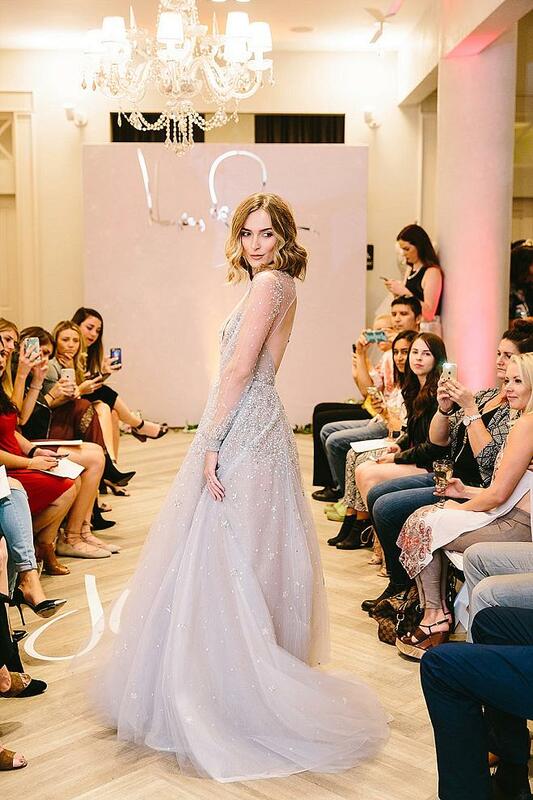 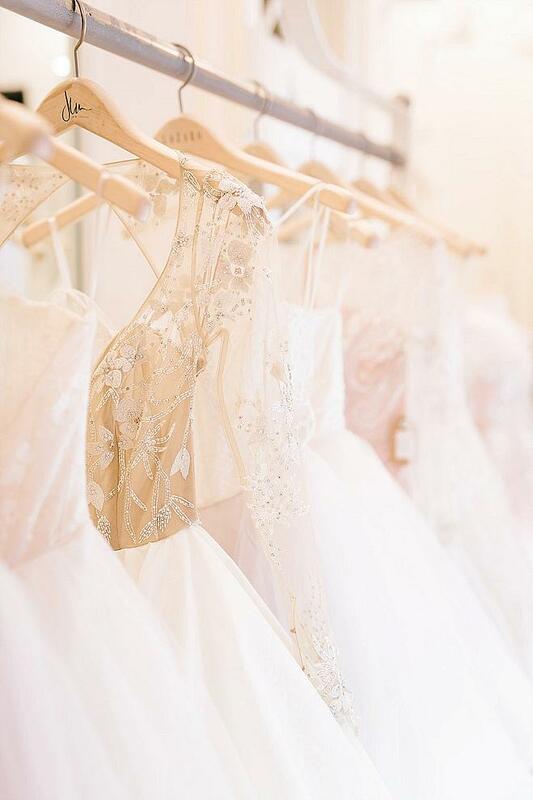 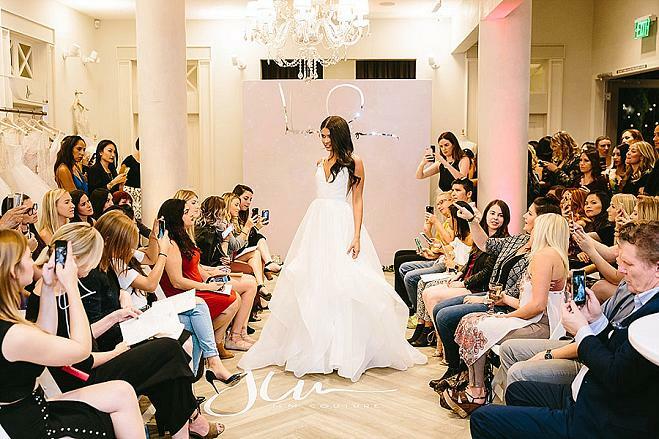 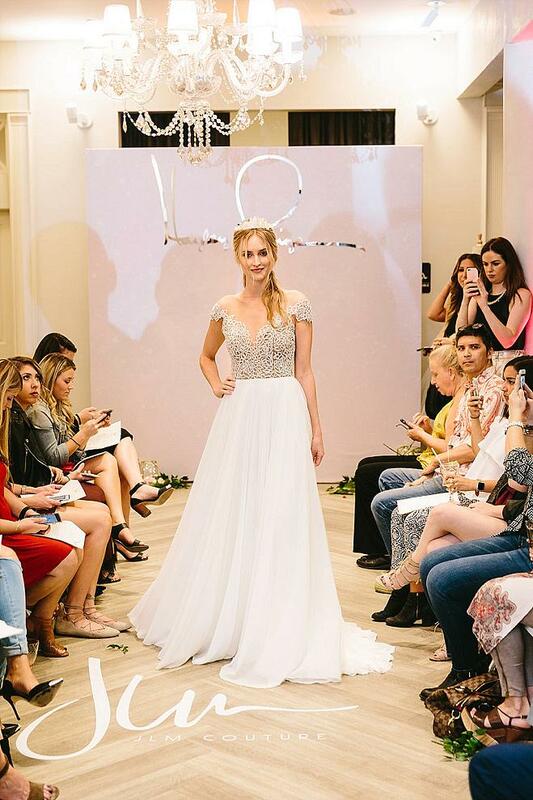 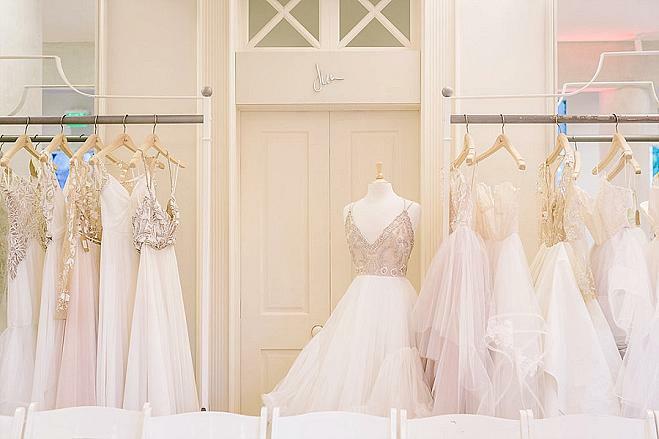 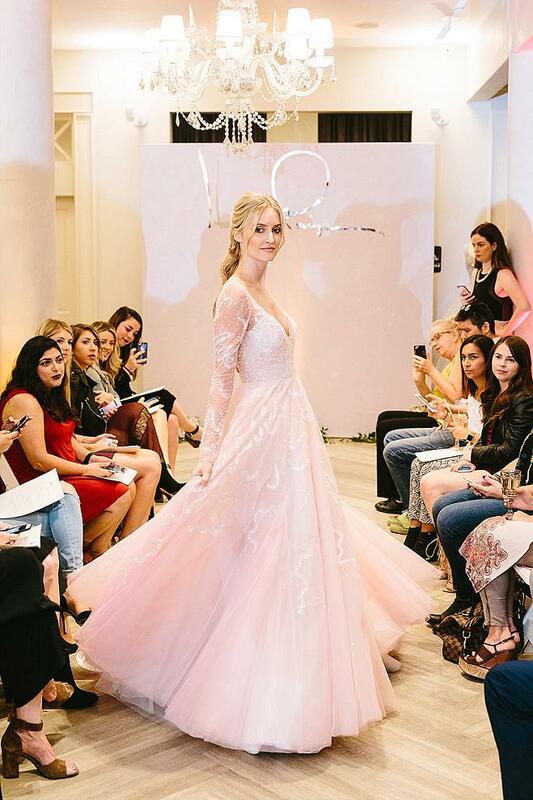 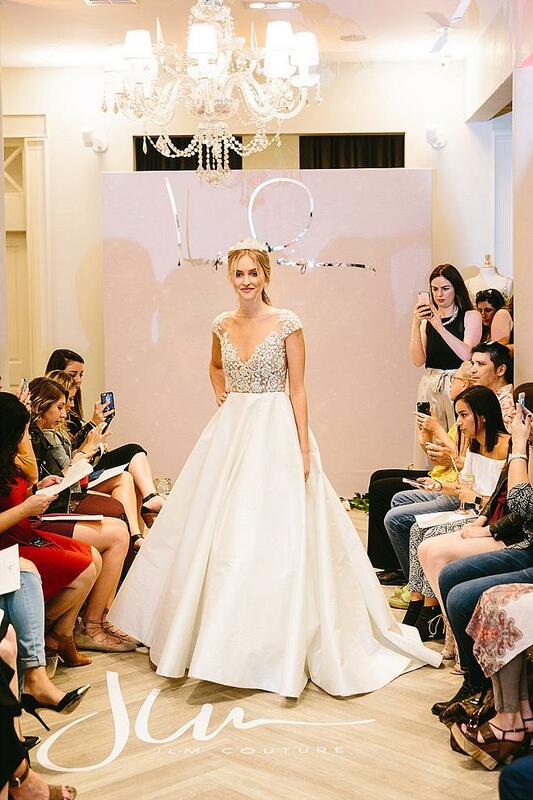 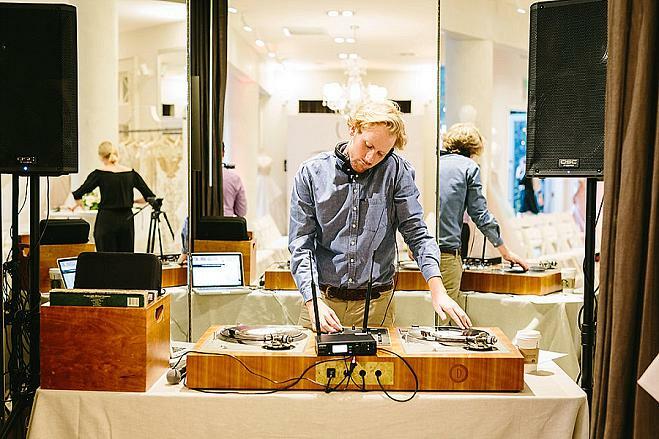 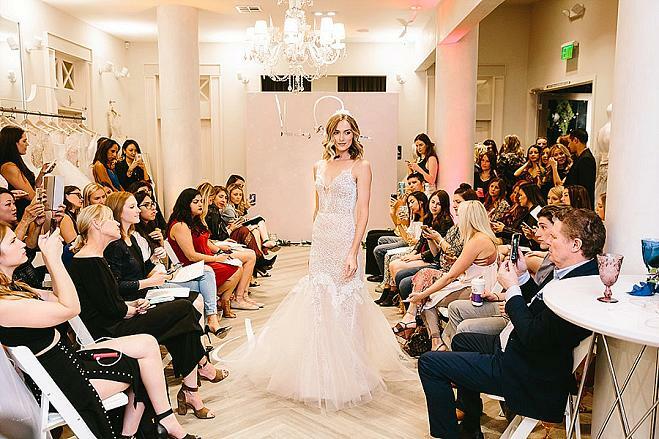 And being huge fans of Paige's fairy tale designs, the team at California Wedding Day jumped with joy to be a part of sharing these beauties with Los Angeles' brides-to-be at JLM Couture Flagship Salon in West Hollywood. 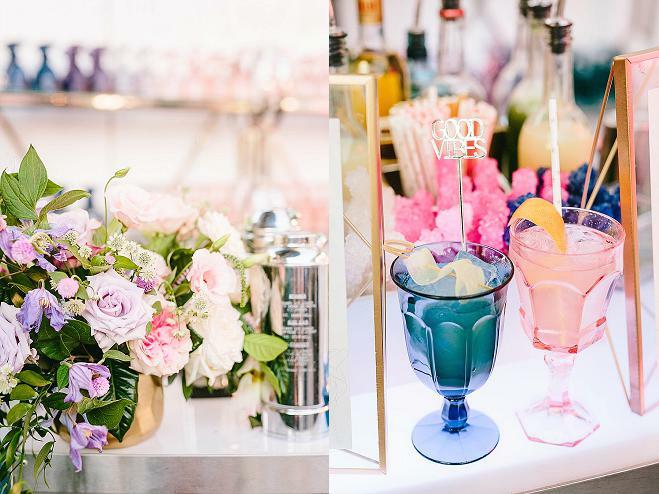 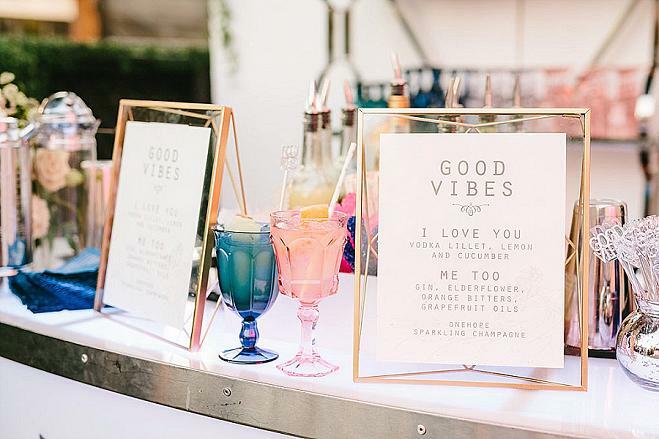 The dreamy setting was brought to life by Yoleine Dumarsais of Yellowbird Events, who channeled Hayley's celestial vibes by bringing in soft ombre shades of blues and pinks, geometric shapes and lots of twinkling lights. 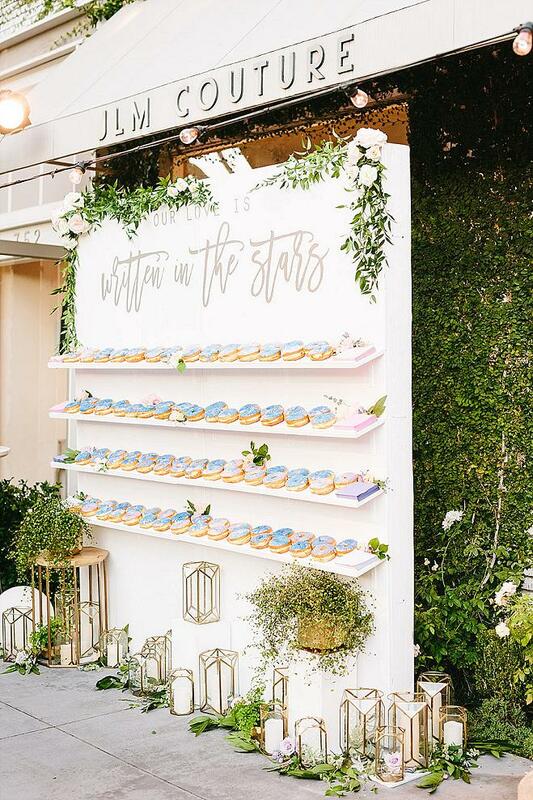 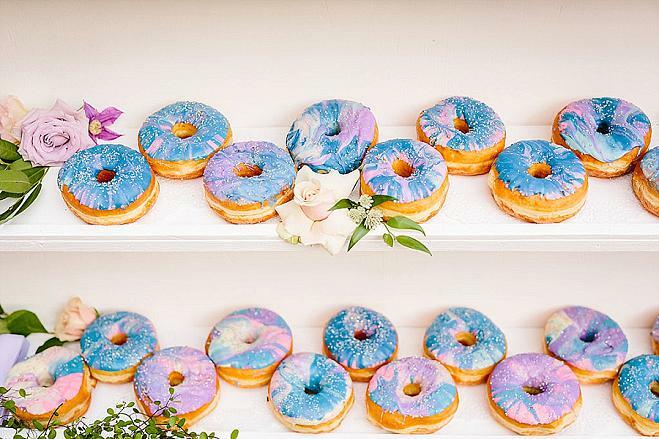 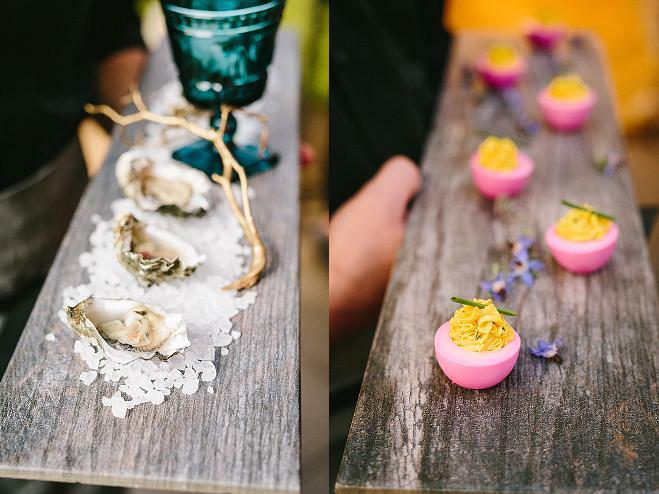 Romantic florals by Enchanted Garden Floral Design draped the bar and the piece de resistance (besides the wedding gowns of course) was the beautifully curated donut wall featuring the treats glazed in marbled blue and pink with a dusting of edible glitter. 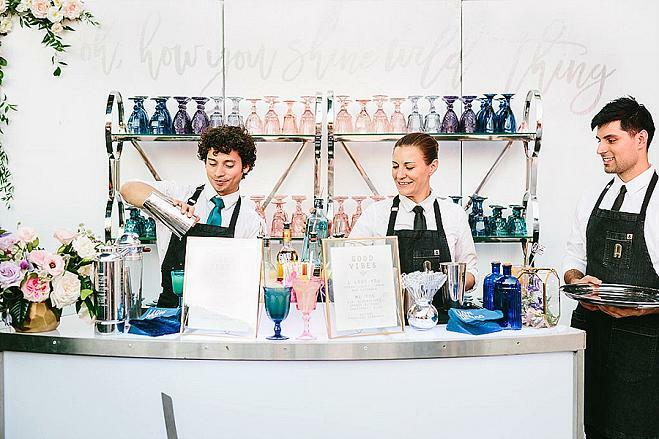 Guest sipped on artisanal drinks served up by Cocktail Academy in pink and blue goblets and snacked on passed hors d'ouevres created by Taste of Pace before the models hit the runway. 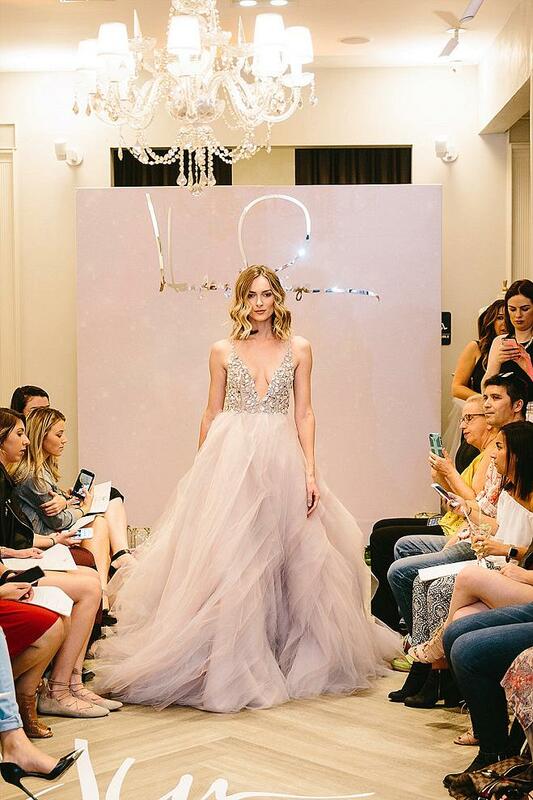 As promised by Hayley, the runway was a trip through the starry galaxy featuring dreamy confections with silver-mirrored bodices, plunging necklines, layers of tulle that beg for a spin on the dance floor as well as sleek crystal-embroidered sheaths and stunning long-sleeved gowns sprinkled with starlight-inspiration. 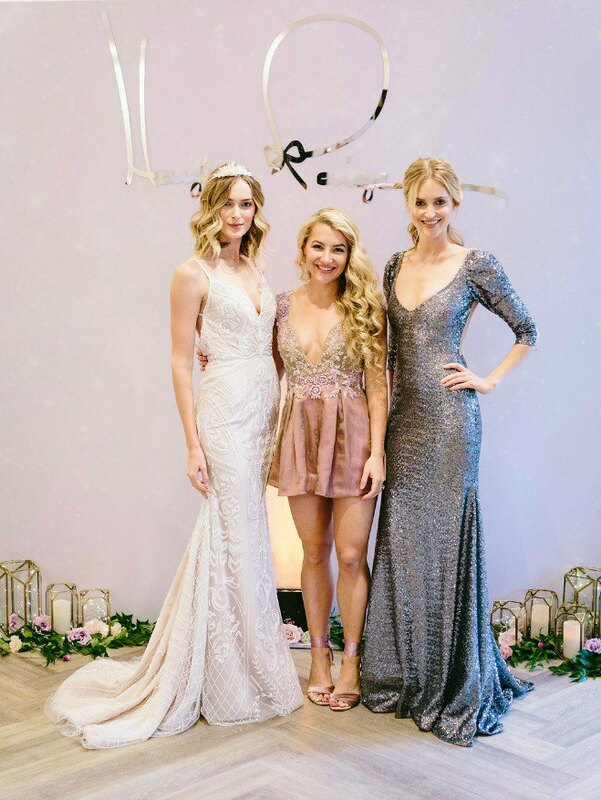 Oh, and don't miss the gorgeous quartz crowns designed by Hayley that are everything. 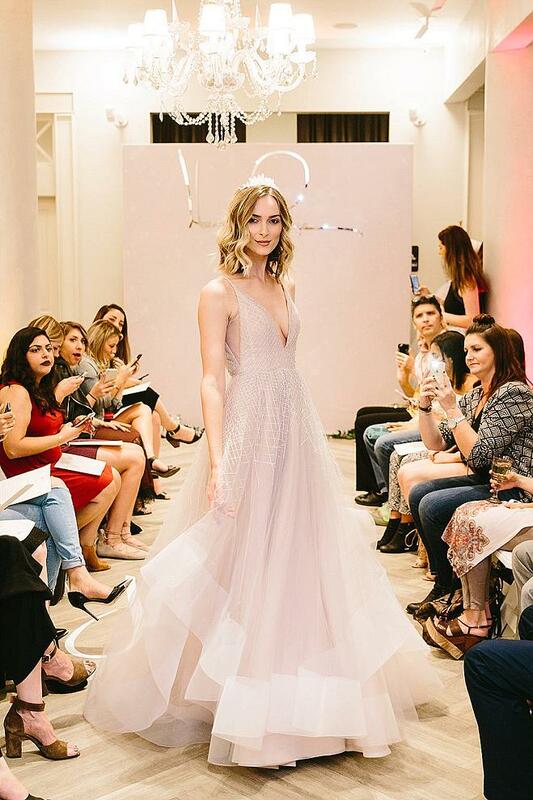 Take a walk through the stars in our dreamy gallery captured by Jodee Debes Photography and check out the video by Expressionary Films!